Family run since 1984, our self catering cottages, chalets and lodges provide the very best of holiday accommodation. 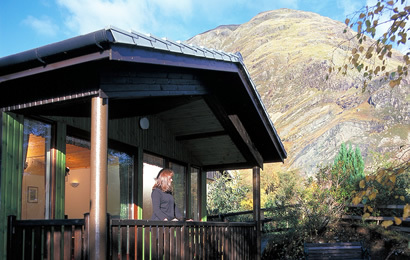 All our properties are located in and around Glencoe, the most famous and scenic glen in the Highlands of Scotland. A perfect holiday destination for all the family! Clachaig Holidays provide a variety of self catering accommodation options to suit your individual requirements. Our cottages and our chalets and lodges are of a high VisitScotland 4 Star standard, and can accommodate between four and six guests. Choose from mountain glen, rural riverside or Highland village locations in the Glencoe and Ballachulish area. Our properties are conveniently placed for pubs, shops and other local amenities. While the high mountains are on the doorstep, a variety of easy low level walks around lochans, rivers and shores can be accessed from each of our properties. With plenty of fresh air and evenings spent with a dram by the fire, what better way to holiday in the Highlands of Scotland? Our Things to See and Do pages will provide you with plenty more suggestions for activities and places to visit. Our properties can be booked directly online, with minimal fuss. In addition our handy Availability Search allows you to quickly find the right property for you. Keep an eye on our Special Offers and Late Availabilty pages, or sign up to our eNewsletter at the foot of the page for the latest offers on Glencoe accommodation. During the quieter months, and during the summer at shorter notice, we offer options on Short Breaks in Glencoe with stays or 3 or 4 nights. Clachaig Holidays guests can take advantage of our grocery advance ordering service, with everything from essentials like bread and milk through to speciality Highland products such as steak, salmon and more available to order. Ask for more details when booking. Clachaig Holidays is owned and managed by Clachaig Inn, where the Daynes family have been providing unrivaled Highland Hospitality since 1984. 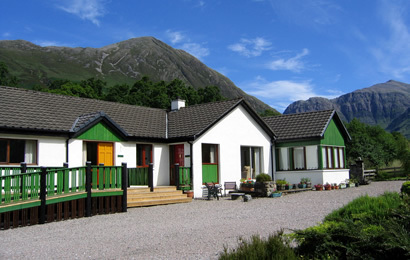 Choose from a selection of self catering holiday cottages set amidst spectacular scenery in and around the village of Glencoe, and in the adjacent village of Ballachulish. Our Chalets and Cottages are conveniently located near to the award winning Clachaig Inn with a world wide reputation for hospitality, real ales and extensive food menu.